Today’s game is going gourmet, courtesy of Ariane and D’Artagnan President, Andy Wertheim. 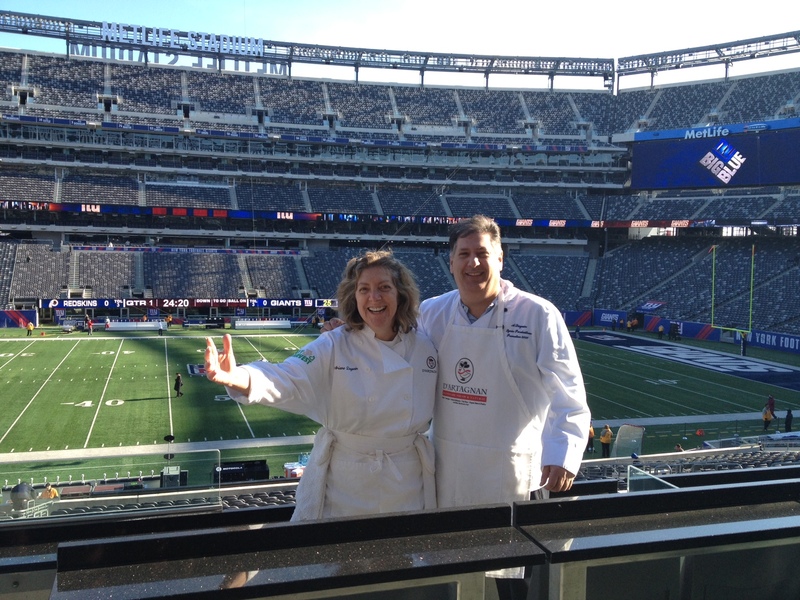 They’re at Giants stadium to cheer on the home team while cooking D’Artagnan Duck Tenders with Foie Gras and Truffle Sauce. Now that’s winning!